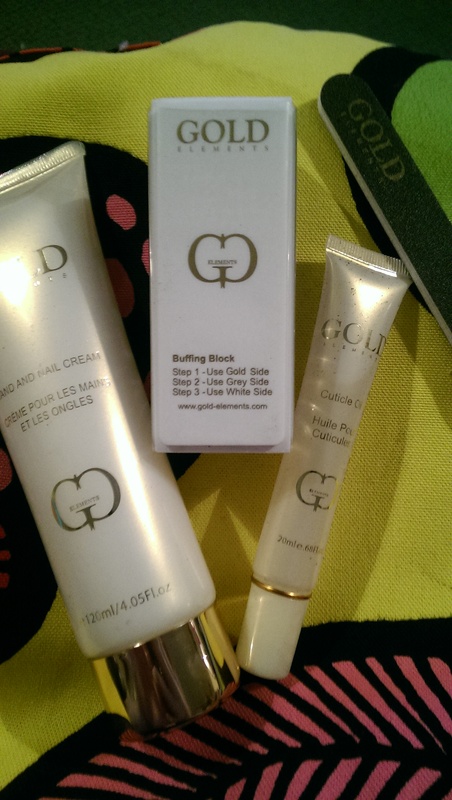 I decided to give Cohorted’s new beauty box a go, having been massively disappointed the last time. Worth £93, this box is £35 including postage, making it one of the more expensive beauty boxes around. The postman dropped it off bright and early, it’s a big box so I hope he has his van, he’s normally on foot. Inside are fullsize products from five brands, some more familiar than others. 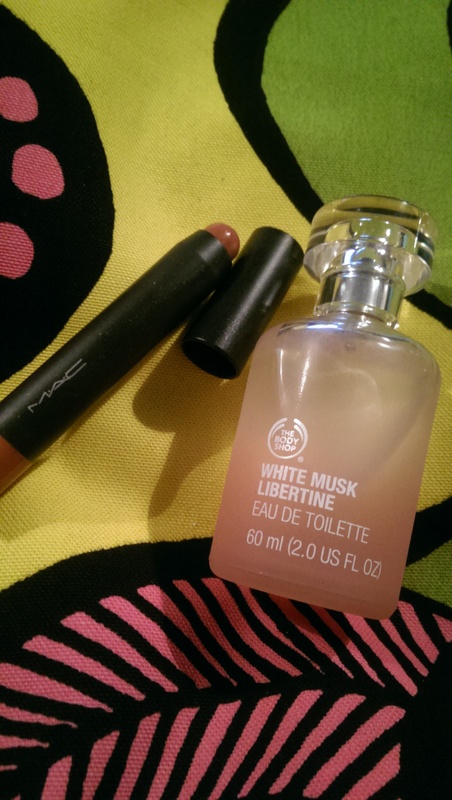 First up MAC’s Patent Polish Lip Pencil – RRP £17.50. I received the shade ‘Clever’ which is rather nice light red, happily not orangey, but with pink undertones. It feels like lipbalm and is super easy to apply. Available in 14 shades. These are all useful things and caring for your hands and nails is important as they get pretty battered throughout the day. 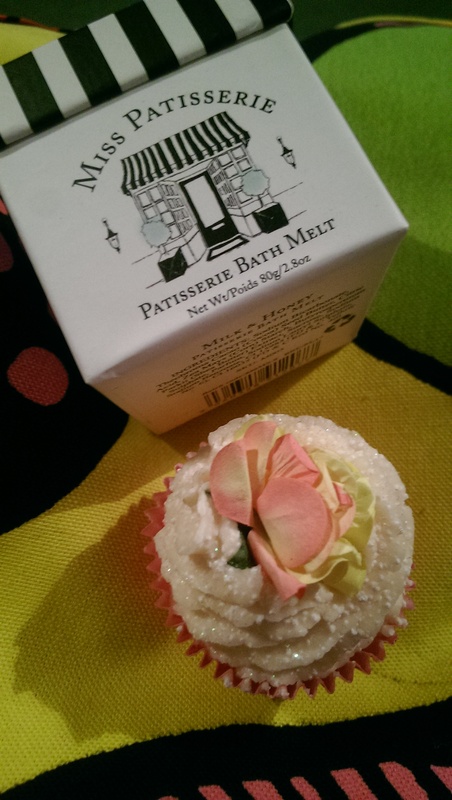 Miss Patisserie Bath Melt – RRP £3.99 for one. These little cupcakes are not for eating, made with Shea and coconut butter, each one contains antioxidants and minerals, decorated with detoxifying salts and cosmetic grade glitter. Body Shop White Musk Libertine EDT Perfume 100ml – RRP £24. Containing cruelty free musk, this is a modern twist on a Body Shop classic, sweet and classic. 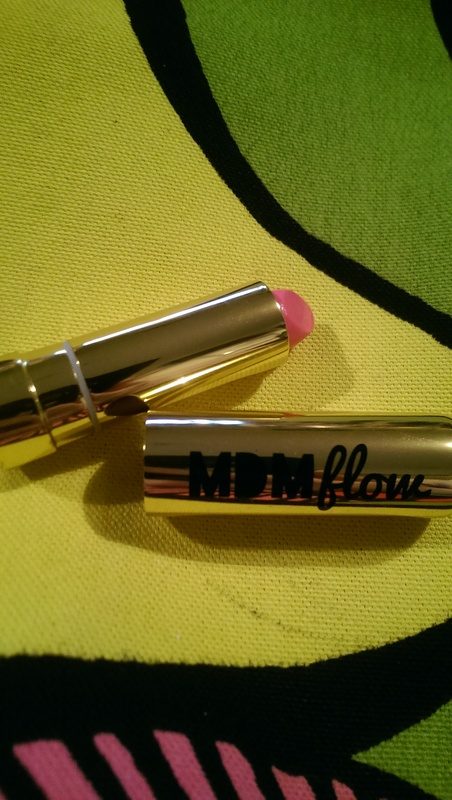 MDM Flow lipstick in Panther – RRP £18. Bizarrely, inside the box guide the whole article is about a shade called Milkshake but I’ve got a completely different one, which is a horrid neon pink. Not the best box in the world – who needs two lipsticks in one box, and the bath bomb won’t get any use, although it would make a nice addition to a birthday gift. The nail kit seems quite an impressive inclusion, most boxes would only put one item in, not the whole kit. Might give this another go at some point – bit too pricey for every month. Next PostMoney for being mental?